Keyless entry, upgrade your existing central locking to work by remote control, system comes with 2 x remote controls and installation. Note: Your vehicle may require an additional motor (not included in the price) if you have a non multipoint central locking system in your car. 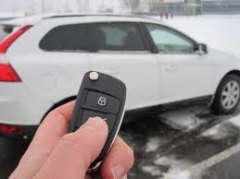 Auto Electrical Remote Locking Keyless entry, remote central locking upgrade.